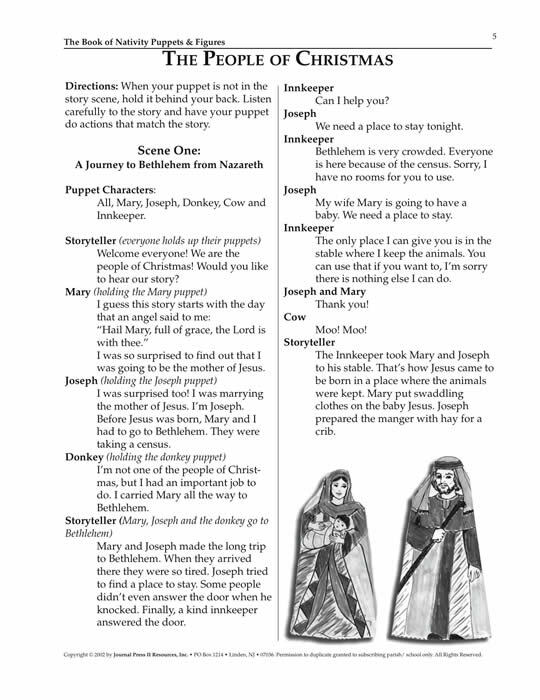 The Book of Nativity Puppets & Figures is a Master Set that provides DREÕs, teachers and catechists with materials and resources for celebrating the Christmas story with children. 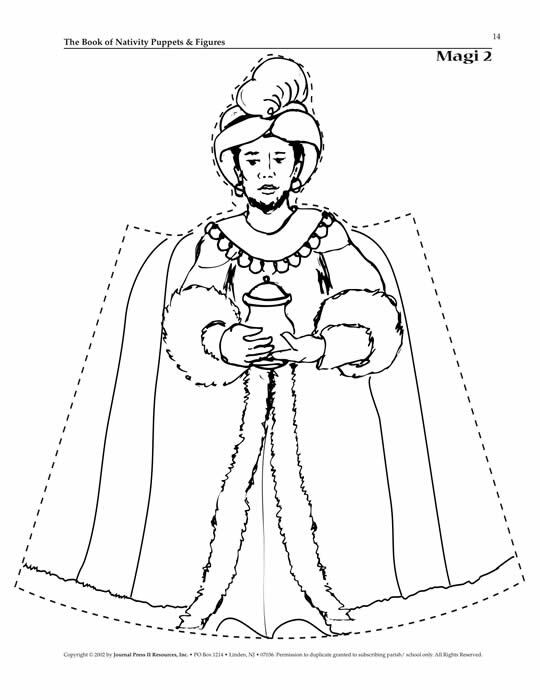 It includes black-line master sheets with patterns to color, cut and assemble into puppets and figures. 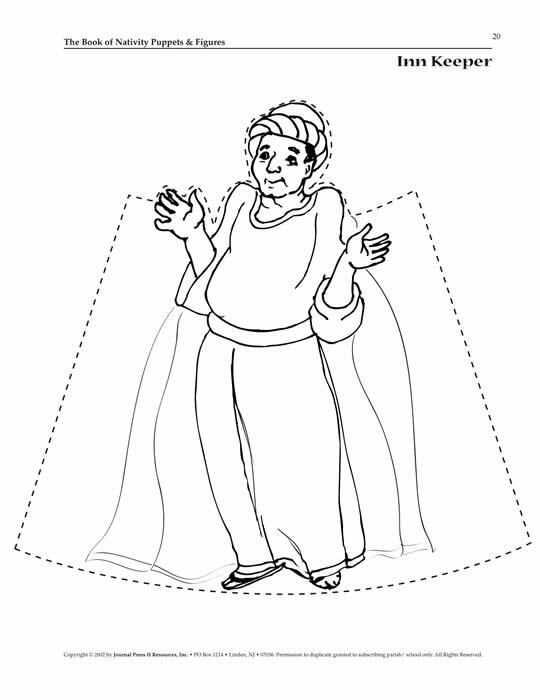 They can be used as hand puppets or set up in a Nativity scene. ÒThe People of Christmas,Ó a script that can be used with the puppets, is also in- cluded in this set. 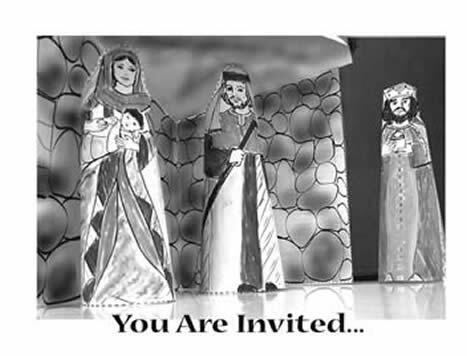 The story is divided into scenes that can be acted out by different groups with their puppets or at different times. The Madonna & Child Pin (shown at top right) and other pin information is available by clicking. 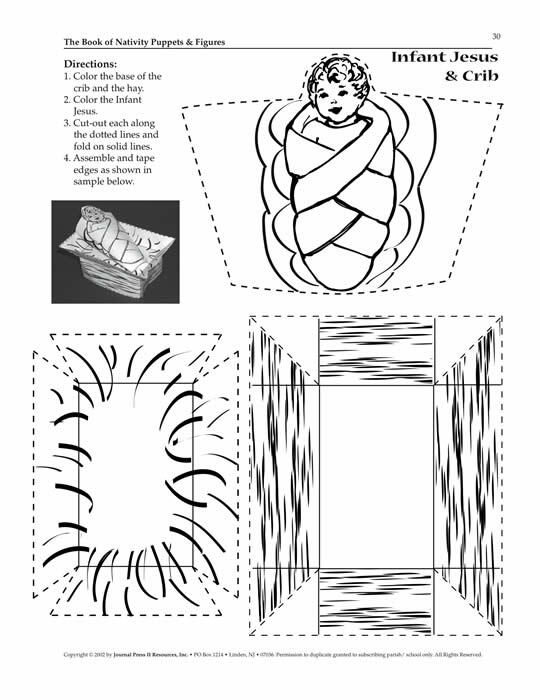 form a "Manger Scene" from the decorated assembled figures. Your purchase (below) will enable the placement of the The Nativity Book of Puppets & Figures MasterSet PDF on your computer. You will receive an e-mail to enable your immediate download for the set.